There is a difference between mixtures and solutions. A solution is when 2 or more items completely mix together and you can?t tell them apart. A mixture is when 2 or more items are mixed together but you can still tell them apart. 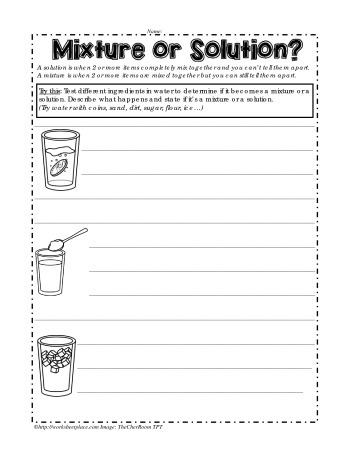 Grade 2 science worksheets for mixtures and solutions.